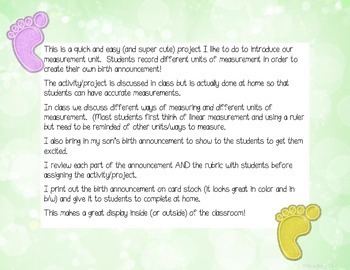 Students will create their own birth announcement! Fun and easy activity! 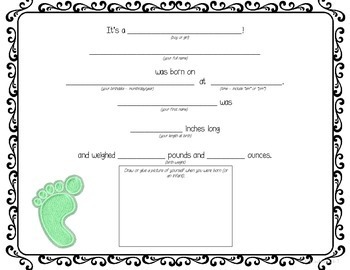 Students will use and record different units of measurements to tell about when they were born. Makes a great display inside or outside of the classroom! 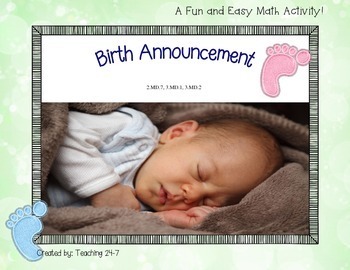 4 birth announcement styles (boy, girl, 2 neutral - 1 w/ border & 1 without border) and grading rubric included.